Buhari why do you choose to be so wicked and heartless? What are you gaining from incarcerating the leader of the Indigenous People of Biafra, Mazi Nnamdi kanu for so long? Don't you know that Nnamdi Kanu is a family man like you whom you distanced from his family for a long time now? 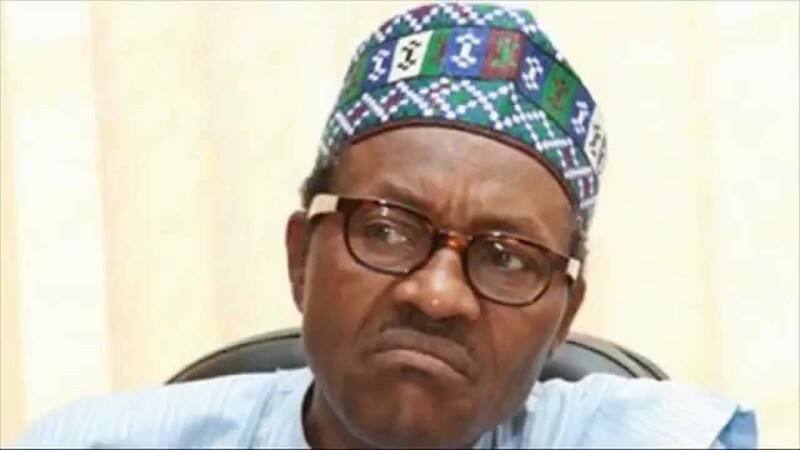 Buhari why don't you want to change? Today, even a child in the womb today knows you as a wicked president, Buhari why? Why do you choose to be a manipulator of justice? You call yourself a president, yet you manipulate the judiciary and control it the way that pleases you. Now you are looking for any possible means to jail Nnamdi Kanu, and that is why you brought your arrogant sister, Binta Nyako so that she will perfect your wish. Since you are saying that you have testifiers who will come and testify against Nnamdi Kanu for almost a year and some months now, humanity has been waiting for you to present those testifiers for long now, yet you have not brought them. There have been series of adjournment after adjournment over Kanu's case in order for you to bring your testifiers, yet all turned to be futile. Now, after all waiting and waiting, you have connived with your" charge and bail" judge, Binta Nyako to try Nnamdi Kanu secretly. Buhari, do you think it will work out for you? Or do you think that Nnamdi Kanu is a Robot? Never! Nnamdi kanu is not a Robot but a human being who has every right to object against your so called "Secret trial". You accused Nnamdi Kanu publicly and now you want to try him in secret. If you are man enough, and you are 100% sure of what you are accusing Kanu of, and also solidly behind those your masquerade testifiers, tell your fake masked testifiers to come to the public and testify. If you Buhari is in your right senses, you should know that there has never been any country in the world or even the UK government itself that has ever written to you that Nnamdi kanu is a terrorist or has a terrorist group. Muhammadu Buhari, do you know that you have respect and honor when you have not smuggled yourself into presidency? Today, you have abused those respect and honour. Your wickedness and tyranny has made you infamous today to the extent that even a child in the womb knows who you are, and for the wrong reasons. Since you and your murderous military have been killing and sending IPOB activities to their early graves, have you ever seen them retaliate? Or do you think that they don't know how to lift a gun? It is due to the fact that they are known as peaceful and quiet people, and that they are under one chain of command, which is the "command and control" of their leader, Mazi Nnamdi Kanu, if not, I reserve my comments. However, you Buhari should bear in mind that the whole world is watching you, you should also know that this case is not the case of Nnamdi Kanu alone, but for international community. So mind you that in no distant time, you will be prosecuted according to international law on all the atrocities you have committed against Biafrans and others. There is an adage that says “The evil that men do lives with them and after them". I assure you that you will live to suffer for the whole evil that you have committed. So continue in your evil doing; but you must bear in mind that millions of Biafrans are echoing “NO SECRET TRIAL ON NNAMDI KANU"!! As for the corrupt justice Binta, this is the beginning of your downfall: if I may ask you, what amount of pressure and intimidation has Buhari mounted on you that will make you to soil your hand? What amount of money has he given you that made you to okay secret trial on Kanu which every sane person knows that it is against the existing law in Nigeria? Now that you have brought your two legs out in the market square, you must get ready for the naked dance. And what is going to come upon you, you can't withstand. You have awakened the sleeping lion and you should not run but stay to bear the consequence. IPOB and entire Biafrans are going to launch a campaign against you and when that is done; your image and career will be killed forever. And all the years you spent in acquiring that career will be of no use to you. One word I'm dropping for you lastly is that Nnamdi Kanu is a human being who is entitled to his fundamental human right and he has every right to reject whatever rubbish decision you conjure up with Buhari. After mr Buhari lead the civil between Nigeria and Biafra in 1967_70, and massacred not less than 5.5 million Biafrans, there is no need now asking him "why" because we had already known the class where he belongs TERRORISM. If he likes, let him continue to detain Nnamdi Kanu thinking that Kanu will surrender, Kanu will never surrender and we the followers will never give up. It's Biafra or Death, either we are lowered below the earth or Biafra flag raised above the earth. The more he detain Nnamdi Kanu, the more Buhari is Tarnishing himself.